Earn up to 815 reward points. This hand-hammered crash features a raw bell and a sound that is fast, shimmering, and slightly exotic. Stagg cymbals from the DH, or Dual-Hammered, series are all about highly versatile professional cymbals for the most demanding players. Every Stagg DH crash cymbal undergoes complex and rigorous hand-hammering methods in order to forge cymbals packed with dynamic overtones calculated for projection and character. The Stagg DH crash cymbal also offers the player a comprehensive range of tonal colors for maximum performance options. 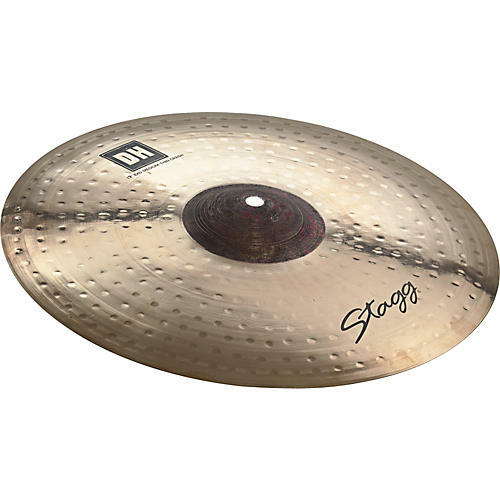 Don't let the price fool you, these Stagg cymbals are hand-hammered and have a great reputation. Try one out today.